Robert Seiner (RSS): This morning I am sitting down with Barbara von Halle, long time friend and associate, a former and soon-to-be-again columnist for TDAN.com. provided answers to some of my questions. of data-oriented publications that they may be familiar with? step-by-step approach for logical data modeling and relational database design. and loyal readers. 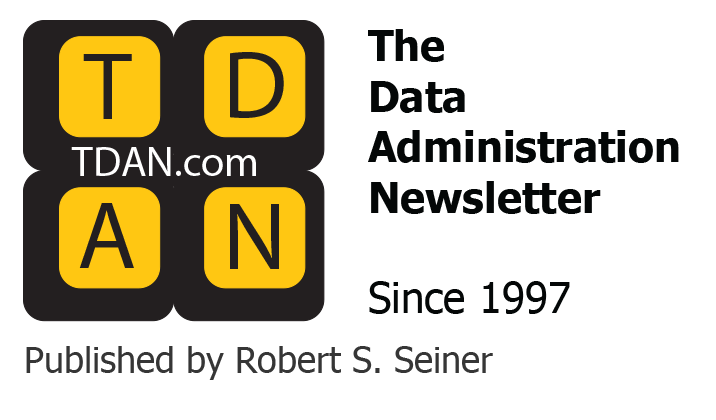 Today, TDAN.com has emerged as a premier publication for data management professionals. I am very excited about the prospect of being a columnist again for TDAN.com. from various contributors in establishing corporate data management organizations. I am pleased that Auerbach is now the publisher of the new book that Bob mentioned in his opening statement. management software. For the past few years, Larry and I have been partners in Knowledge Partners International. prestigious of data management publications and events. I have to tell you that is why I pursued Spectrum when I left the corporate world for this wonderful world of consulting. relevant today as it was back then? of business rules behind every day business transactions. As for the relevance of the business rules approach, I believe the business rules approach is even more compelling today than back then. manage critical rules that drive businesses and sometimes entire nations? And how do we do it? Larry Goldberg (LG): As Barb said, the relevance of the business rules approach today cannot be understated. be correct, and is able to be adjusted quickly to reflect changing conditions. It is our conviction that the decision model propels the business rules approach into its next generation, a more mature practice for both business leaders and IT professionals. be found elsewhere. Can you explain that distinction? new technique, never before revealed in a published book, but already utilized in practice with great success. of a valuable asset, and directly tied to business performance. fact models, object models and so forth. Do we really need yet another model to learn and to manage? cases, capturing business rules as a new, separate artifact. Standards groups have focused on how best to express these rules. This has been the current state of the practice until now. dictionaries or catalogs. Time was spent agonizing over business-friendly naming conventions and meaningful definitions. business-friendly naming conventions and definitions. elements. These models were proprietary to the DBMSs of the day (IMS, IDMS, etc.). to the BRMSs of today. technology became relational-based and data truly emerged as a recognizable asset. model is for data. This was an amazing realization that was staring us in the face. model, how successful can the business rules approach really be? 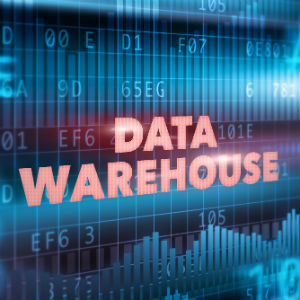 How successful would data management be today without a universal underlying model for data? So, we asked ourselves, what would it look like? Who would build it? And how would it help the business itself? RSS: So, how is the decision model like the relational model? LG: At first glance, there are three immediate similarities that come to mind. Business rules, like data, exist in their own right, independent of how they are processed and where processed. Business rules, like data, have their own inherent structure, which is not the same as the structure of data, fact types, or process. – similarities and, most importantly, differences. There are three chapters that go into details on the decision model principles. BVH: There are three important points to remember about the decision model. business rules, not to the properties of data, and this difference is critical. It means that the decision model behaves differently as defined by its principles. We believe this is an extremely powerful discovery. If history repeats itself, it could be a magnificent beginning of the advancement of methodologies, tools, and automation options. not simply a design artifact. So, the decision model is not really meant for data validation or constraint rules, but for rules leading to business judgments. enterprise/business decision management (EDM, BDM). In other words, business leaders want and need to manage business decisions, not individual business rules in a vacuum. providing insights on how to use a decision model in various contexts. RSS: I find this fascinating. So, you have used past experience in data management and its struggles to deliver a similar future in business rules? I am sure. But, the rewards have been realized and data has become an asset worth protecting and worth business investment. logical data models. So, who is the target audience for the book? LG: The book is intended mostly for analysts (including data management professionals), business architects, and business people. the justification, creation, and rigorous details of a decision model project. decision model in developing business plans and the systems to implement those plans in a directly measurable fashion. decision model. Others represent people who have experience in creating decision models on successful projects. simple requirements gathering (and test case development) for other kinds of projects. RSS: Do you predict that some TDAN.com readers may become decision modelers and if so, why? (yet, different from) those of the relational model. Data modelers will learn the decision model quickly. who are interested in enterprise agility are likely to become decision modelers. A person who is both a decision modeler and data modeler is a valuable resource on any project. RSS: Does the decision model invalidate business rule approaches or standards that are current or emerging? people can assess the quality of those rules and logic prior to turning them over for implementation. With a simple list of business rules such assessment is virtually impossible. process management and modeling is very significant. Can you explain this? modeled in a procedural model because there was no other model for doing so. Business process models become simpler by the removal of declarative business logic structures (just like process models became simpler by removal of declarative data structures). More of the business process models become generic and reusable because the differences in business logic are not in them. Changes can be made in the business process model independently of changes in the business rules and logic and vice versa. Decision models serve as a foundation for decision services in SOA. RSS: Does the decision model require a data model? from people or documents or code, are also a starting point for casting them into a normalized decision model structure. There are some differences between a data model and the fact types used in a decision model. One difference is scope. The scope of a decision model is one business decision, not an entire enterprise. conclusions to decisions. These non-persistent fact types need to be named and defined for the decision model but often are not included in data models. should be a data, object, or fact model behind every decision model depending on how the decision model is to be deployed in the enterprise. role in iterative, agile development. We do not need to know the entire details of the decision model and its referenced fact types (pieces of information) before delivering some form of automation. knowing all of its rows. RSS: What do you mean by a business decision and how is it related to a decision model? fields. In between, business logic executes (in groups of third normal form logic statements) by which conclusions emerge from conditions and the final result emerges. So, a business decision can be a decision that is made within the course of a manual process, automated process, or a strategic process (such as for mergers and acquisitions). RSS: Can you give some real world examples of business decisions that would have a decision model? instances of all three conclusions along with related normalized “decision tables” leading to each instance. industry, even standard, and some may be extremely proprietary. be extended) to include support for decision models. 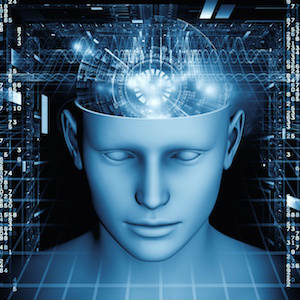 We are hoping to see decision modeling tools emerge in the marketplace in the next few years. RSS: This is great stuff. Can you summarize why this book should be of interest to TDAN.com readers? to be the beginning of a new future for modeling tools and for innovative automation software. We have received amazing endorsements based on the book manuscript and on success stories. RSS: Tell the readers of TDAN.com how they can get a copy of the book? Auerbach. There is a link for ordering it at www.TheDecisionModel.com. “decision modeling” that begins in the next TDAN.com issue? selected chapters (chosen by TDAN.com readers) in depth. Most importantly, we invite readers to share their questions, answers, and good and bad experiences through the column. store (do people still do that?) and get themselves a copy or two or ten for themselves and their colleagues. Do you have any last words of wisdom to share with the TDAN.com readers? things right in the data world. I look forward to some of those same minds repeating that success with decision models.